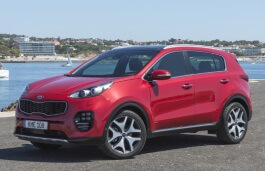 Correct Wheel Sizes, PCD, Offset, Rims and Tire specs for Kia Sportage series. 225/70 R16 fit on a 2006 Kia Sportage 2LT 4X4 CRDI? Will a 205-r60-16 mount / fit on 2006 kia sportage 4x4 with 2.71 v6. Tires are on Mounted on a 2011 mitsubishi lancer fwd rim Thx for your time. Can I replace my 2007 Kia sportage Tires that are P215/65R16 96T with 245/75R/16? wondering if 225/ 75 r16 tires will work on my 2011 kia sportage? 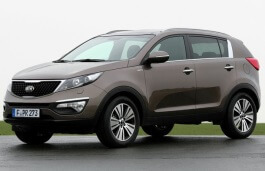 Just put up for sale replica alloys from a 2013 Kia Sportage. Will they fit to a 2007-2010 Sportage as a buyer is on the sight with one. The specs are 7Jx16HA ET 38 with double holes for a 5x100 and 5x114.3 bolting. 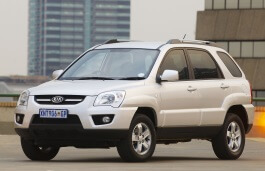 Hi,Markkula,yes.The wheels can fit for 2007-2010 sportage. Would a wheel size 165-30- 19 inch fit on a kia sportage 2011 ? 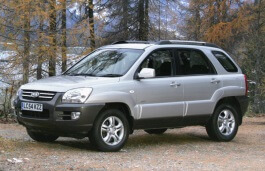 Can I put 15" rims on my 2007 sportage ? 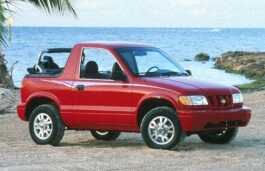 It has 16" rims on it. Hi,Mike,15'' rims is ok,But you need to make sure the bolt pattern and offset is same.You also need a new set of 15'' compatible tires. Also make sure the smaller rim diameter won't be a problem for the brake caliper etc. my 2017 sportage EX fwd has 7.0jX18 alloy wheels and P225/55R18 tires. you do not list them. Hi,maurice mason,Yes,it can fit for. Why does my snow tire from Goodyear size P235/60/16 Say do not mount on 16.5 rims? Everything I find says that's the rim to use. Hi,Michael Freer.These two tires are compatible.And for rims,you also need to make sure their size can fit. But can you tell me if these rims will fit my vehicle? That's really what I need to know before I buy them. 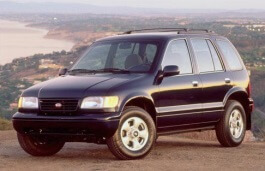 Hi, What is a bore center diameter for Kia Sportage 1994 (K00)?